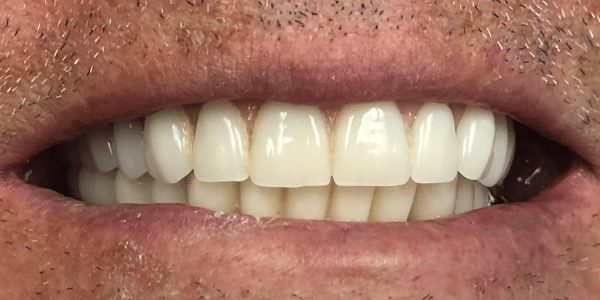 Patient presented for cosmetic consultation for porcelain veneers on his top teeth. 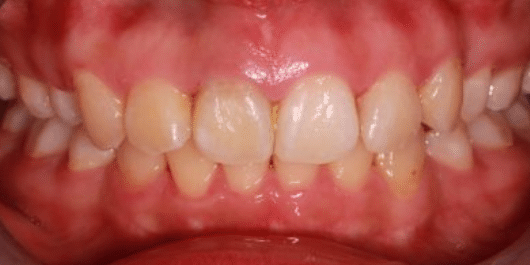 He was unhappy with his smile due to a combination of discolored teeth, chipping and crooked lateral incisors. 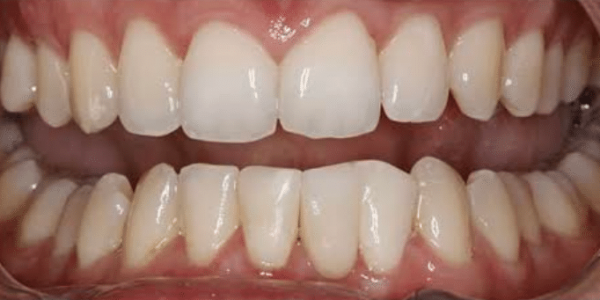 We elected to place porcelain veneers on the front 8 teeth and perform Zoom bleaching on the remaining lower teeth. The results were perfectly straight front teeth and a beautiful smile in just weeks instead of years! 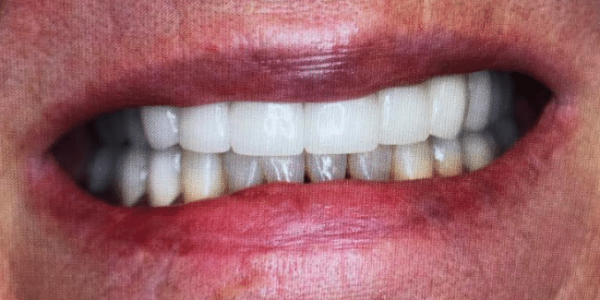 Patient presented for cosmetic consultation for porcelain veneers on top and bottom. 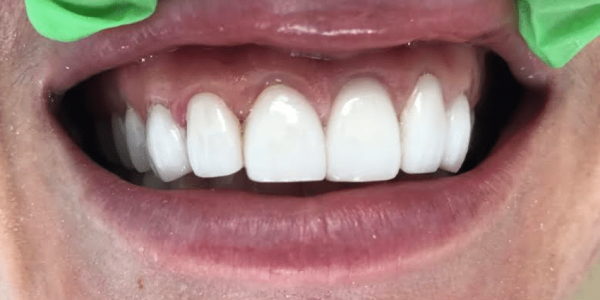 She wanted her teeth straight and permanently whiter. We elected to place veneers on the upper and lower 8 teeth to fix her smile. 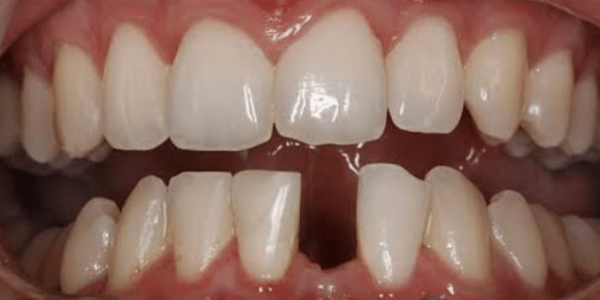 A total of 16 porcelain veneers were placed (uppers first followed by the lowers). 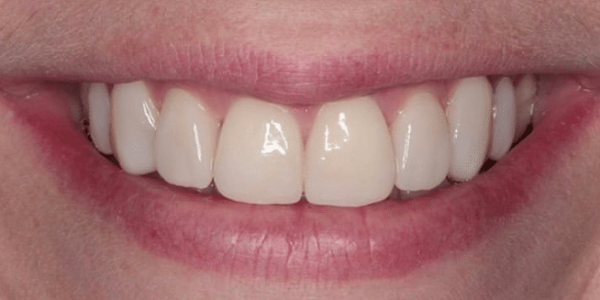 Patient achieved the smile of her dreams in a few months and hasn’t stopped smiling since! 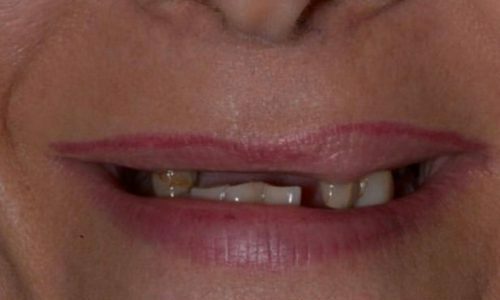 Patient presented for cosmetic consultation to fix her upper teeth. In addition to being unhappy with her smile, she had several broken teeth in the back. 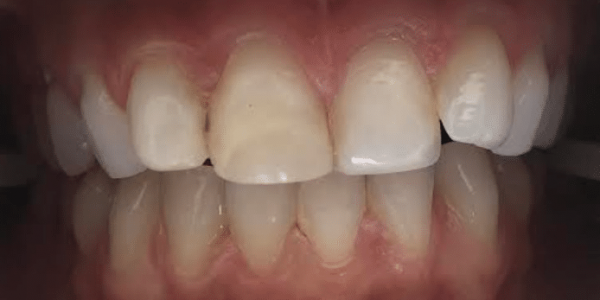 A total of 6 porcelain veneers and 6 ceramic crowns were placed to restore all upper teeth. Now the patient is able to smile and eat comfortably again. Before placing Porcelain Veneers on all upper teeth! 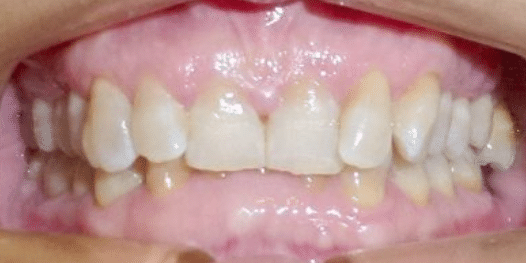 Patient presented for cosmetic consultation to improve her front six teeth. 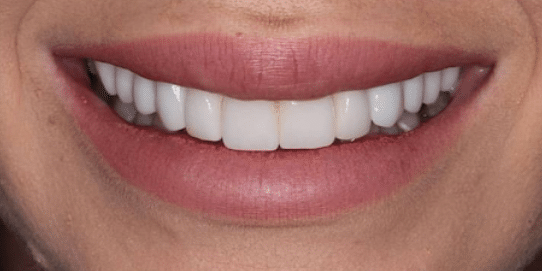 Instead of braces or Invisalign, we recommended that she places porcelain veneers on her front teeth. 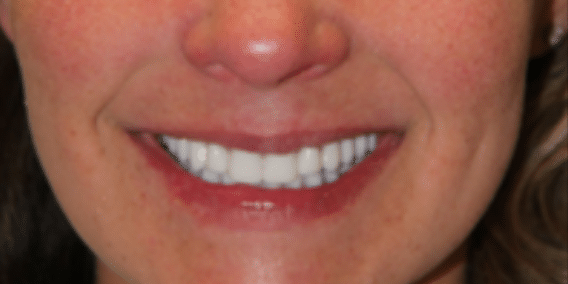 Patient elected to go for 6 porcelain veneers. As a result, we were able to give her a beautiful smile and whiter teeth without the need for lengthy and expensive orthodontic treatment. 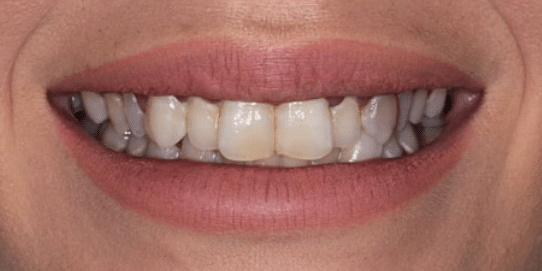 Patient presented for Invisalign consult. 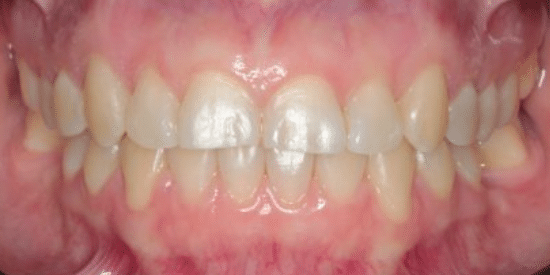 There was several issues including an open bite, crowding and other orthodontic concerns. She qualified for Invisalign treatment and was able to correct all her concerns in less than one year. She now has perfectly straight teeth and no more gap in the front when she smiles. 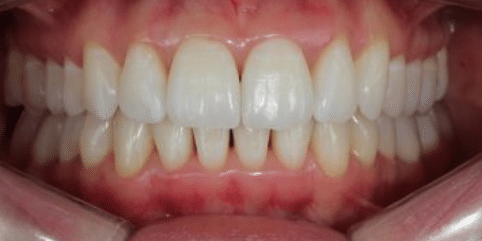 Patient had previously done some orthodontic work, but her work was never completed. 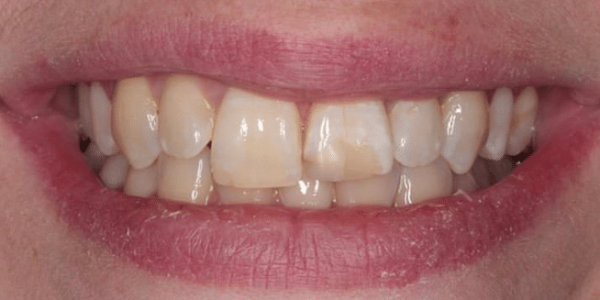 She wanted to finish straightening her teeth and close unsightly gaps between her teeth. She qualified for Invisalign treatment and we were able to straighten her teeth in less than 9 months. 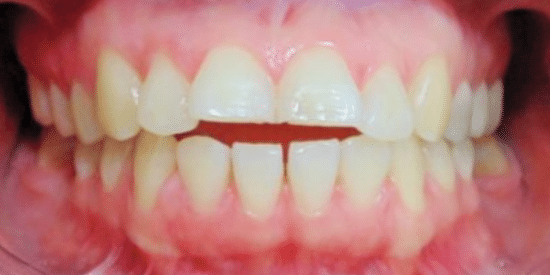 Patient presented with a very deep bite which was damaging her teeth. 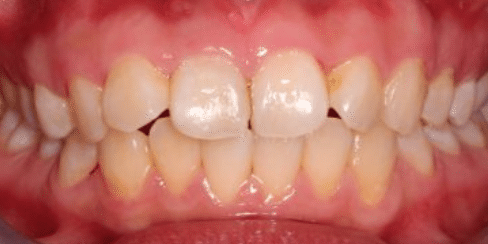 She wanted to straighten her teeth to prevent further damage to her front teeth. She did not want to go with traditional braces due to aesthetic concerns. Luckily, her case qualified for Invisalign. We fixed her teeth in about 15 months and she was back to smiling and eating without having to worry about her teeth continuing to break off. 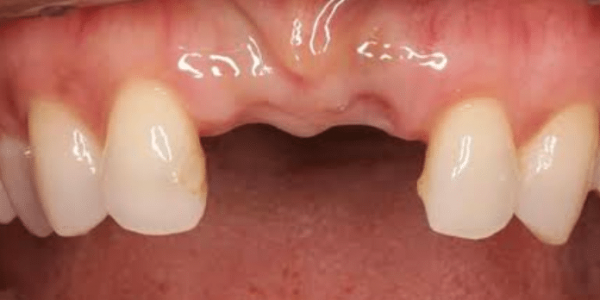 Patient had concerns about his canine teeth not being in their proper position. He ended up qualifying for Invisalign and elected to go for Invisalign over traditional braces. IPR was performed to create room for the canines and we managed to help him straighten his teeth without traditional braces. Invisalign is perfect for closing gaps in between teeth. 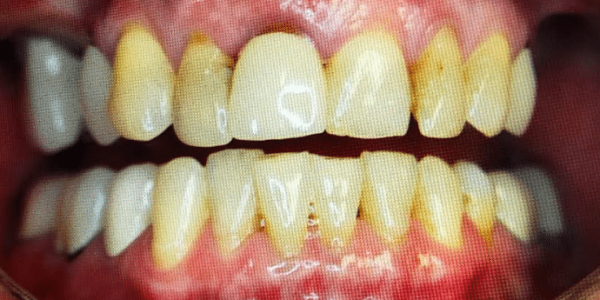 This patient had a combination of gaps and bite problems. She ended up qualifying for Invisalign treatment. We were able to close the gaps quickly, within months, and complete her smile transformation in one year. The patient had lost half of his upper teeth when he came to us. Unfortunately, his remaining teeth were all infected and suffering from varying degrees of gum disease. Plus, he was tired of spending time and money fixing tooth after tooth just to have them fail a few years later. After an implant consultation, we elected to have all his upper teeth removed and replaced with all-on-four teeth. The patient was sedated and we removed all the upper teeth and placed four dental implants in one visit. A few months later his gums healed and his porcelain teeth were inserted. He has since had no issues with his new teeth and has been able to chew and smile comfortably again. He was so happy that later on he added a few more dental implants to replace his lower chewing teeth. 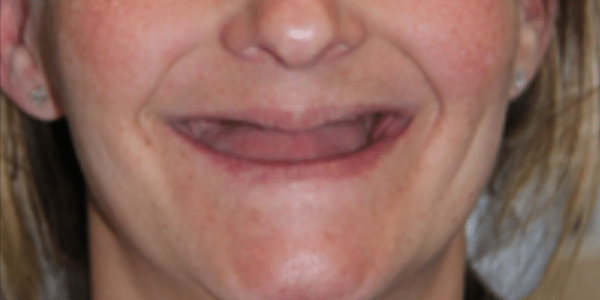 Completely toothless patient elected to go for upper and lower all-on-four teeth. He had been suffering with his dentures and wanted a permanent solution. 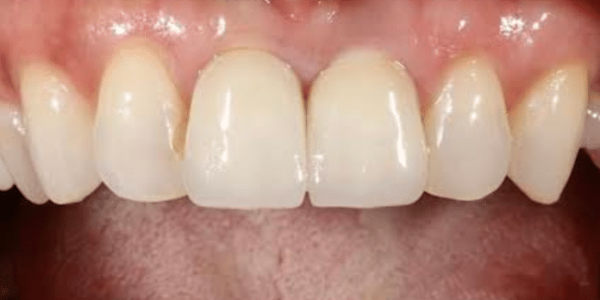 His all-on-four teeth were completed within just a few months and he loves his new smile. 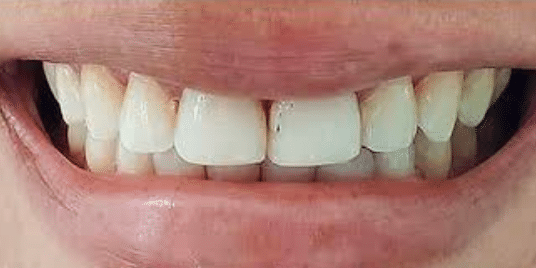 You can see from the retracted photo how all-on-four consist of a full set of teeth and gums supported by just a few dental implants. However, looking at him you could never tell that his teeth were not his own. In fact, to this date he still gets compliments on his smile! 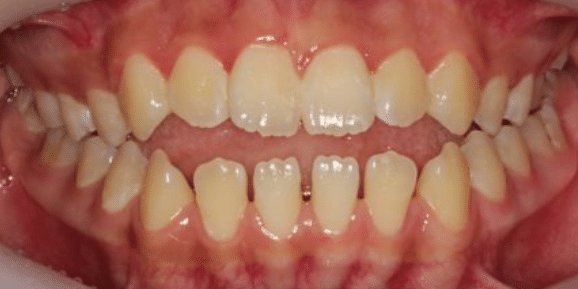 Another example of an all-on-four treatment for a completely toothless patient. The results were amazing and her new teeth shaved off decades from her appearance. Not to mention she doesn’t have to worry about loose dentures and her false teeth falling out any longer. The patient loves her all-on-four teeth and has been showing them off to all of her friends! Sometimes saving your remaining teeth stops making sense. You’ve spent countless hours and a fortune on doing root canals, crowns and bridges, only to lose the teeth a few years later. It could be because your teeth are weak and fragile. Or it maybe because your gums are so badly diseased that they can’t support your teeth. Regardless of the reason, some patients need to have all of their teeth removed. Our patient here had a few remaining upper and lower teeth, all which were in poor condition. We decided it was not worth salvaging the remaining teeth and elected to go for all-on-four teeth. 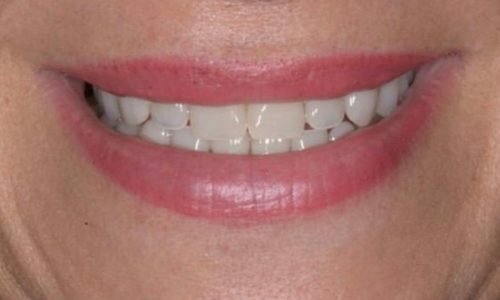 We removed her teeth, placed dental implants and replaced her teeth with upper and lower all-on-four teeth. Now she loves her new smile and feels much healthier with all the damaged teeth removed. Sometimes it's just not worth saving your remaining teeth due to gum disease and extensive decay. All-on-four teeth replace all of your missing teeth with beautiful porcelain teeth. No more worrying about cavities or gum disease! 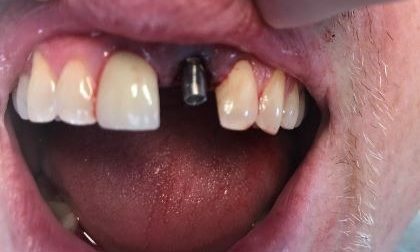 Replacing the front two teeth is one of the most challenging dental implant cases. 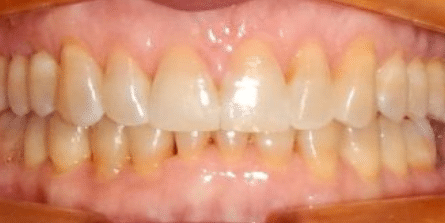 This is mostly because these teeth are very visible and re-creating the gum tissue around them can be quite challenging. This patient had lost his front two teeth from a childhood accident. 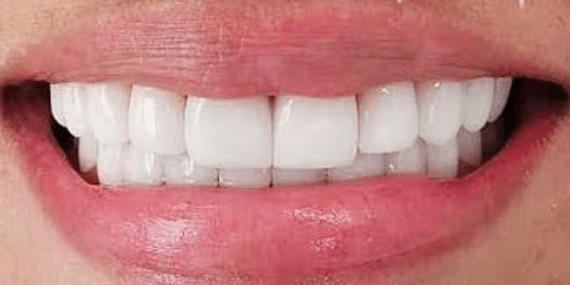 Dental implants were placed and restored several months later. The results speak for themselves, and no one can tell which teeth are implants and which ones are his real teeth! Patient had lost a lower front tooth due to a failed root canal. A single dental implant was placed and restored within a few months. As you can see, the dental implant blends in beautifully with the rest of his teeth. In fact, it is almost indistinguishable from his remaining teeth! Patient had a very busy work schedule and was constantly flying for work. 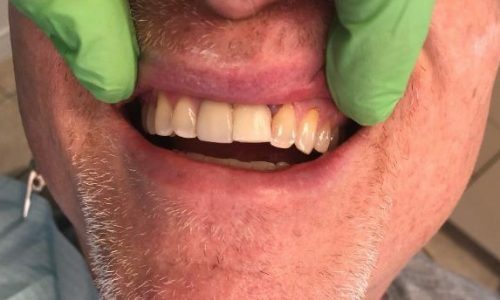 He knew he needed a dental implant, but was unable to come in until the tooth finally broke. He refused to wear a removable dentures, which left him with no choice other than teeth in a day. We removed the broken root tip and placed the dental implant and bone graft at the same time. Next, we installed a temporary abutment and made him an acrylic crown. Patient had minimal discomfort throughout treatment and had his front tooth back within an hour! In 3 months, he will return to get his final porcelain crown. 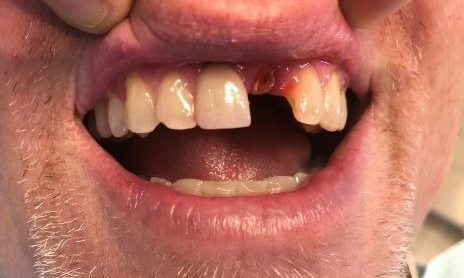 Patient presented with fractured front tooth. There was not enough tooth structure to save the tooth and tooth in a day was recommended. Broken tooth was removed and dental implant and bone graft were placed. A temporary abutment was secured to support the crown. The final outcome was an implant and tooth in less than an hour. The implant crown is intentionally left a shorter to prevent stress overload. 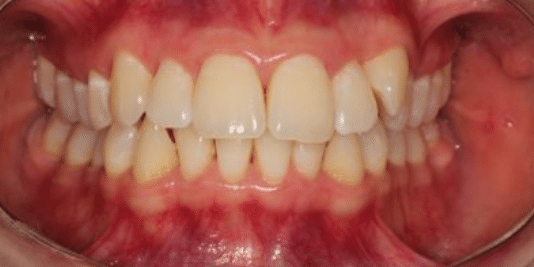 Patient was suffering from a combination of broken teeth, missing teeth and a poor bite. This was the result of wear-and-tear over the years as well as grinding and other poor dental habits. A full mouth reconstruction involving dozens of crown, several dental implants and gum surgery was recommended. In about a year, the work was all completed. 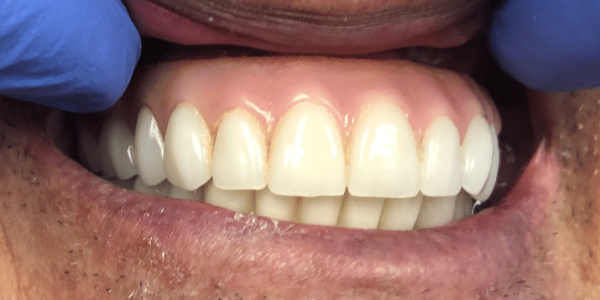 Not only did the patient love his new smile, but he had a full set of teeth which helps protect his bite going forward.